Enclosed please find the FlightClaimEU General Terms & Conditions. It is possible to read the text below or print the document. Claim: claim from a claimant on the basis of Regulation 261/2004, possibly in combination with a claim based on the Convention for the Unification of Certain Rules for International Carriage by Air of 1999 (Montreal Convention). For avoidance of doubt, unless otherwise agreed in writing, and whether or not notified of other possible claims for damage and loss FlightClaimEU will only be taking action in relation to flight delay claims within the meaning of the rules and regulations aforesaid. Claimant: every natural person, as stated by the client, making a claim. Debtor: the party owing a debt to the client. Division: part of FlightClaimEU established in a specific country in which it operates. FlightClaimEU currently operates in all EU countries. FlightClaimEU: the private limited company CCN B.V., with its registered office and principal place of business in Amsterdam, The Netherlands. FlightClaimEU.com: Internet site of FlightClaimEU that offers airline passengers various options to exercise their rights, based on Regulation 261/2004 and possibly on the basis of the Montreal Convention. FOP: Flight Observation Pack containing (if available) relevant flight, airport, press and weather data for a specific flight on a specific day. No win-no fee rate: costs for the client and/or claimant(s) depending on the result achieved. If no positive result is achieved, no costs are charged for the services that have been provided on a no win-no fee basis. This only applies if explicitly indicated. Client: every natural and/or legal person, his/her representative(s), authorised agent(s), successor(s) in title and/or heir(s) who has/have entered into an agreement with FlightClaimEU or who has/have instructed FlightClaimEU on behalf of the claimant(s) stated by him. The client is also the contact person. Agreement: the agreement to which the client is bound after acceptance of these general terms and conditions. Refund desk: service where a claim can be submitted to FlightClaimEU. Flight Claim: service where a claim can be submitted to FlightClaimEU.  www.FlightClaimEU.com: Internet site of FlightClaimEU that offers airline passengers various options to exercise their rights, based on Regulation 261/2004. These general terms and conditions apply to and form an integral part of any quotation, offer and agreement between FlightClaimEU and the client and/or claimant(s), insofar as these conditions have not been explicitly derogated from by agreement in writing by the parties. These general terms and conditions apply to the exclusion of any other conditions. Other terms and conditions only form part of agreements entered into with FlightClaimEU, if and insofar as such has been expressly agreed in writing. FlightClaimEU is at all times entitled to make changes to these general terms and conditions, except for the provisions as stipulated in Section 6:236, subsection i, of the Dutch Civil Code. If one or more provisions in these general terms and conditions appear to be void, voidable or non-binding, the remaining part of these general terms and conditions remains in full force. FlightClaimEU is entitled to replace the void, voidable or non-binding provisions with provisions that are not void or voidable and which are binding and which, with a view to the object and purposes of these general terms and conditions, reflect the void, voidable or non-binding provision(s) as closely as possible. Insofar as FlightClaimEU, in the performance of the agreement, uses an intermediary/intermediaries and/or third party/parties, these general terms and conditions also apply to this/these intermediary/intermediaries and/or third party/parties. All offers, made in whatever form, are without obligation and merely serve as an invitation to enter into an agreement, unless FlightClaimEU states otherwise. An agreement is only formed if and insofar as the agreement has been confirmed by FlightClaimEU in writing, by means of an e-mail or otherwise, or when FlightClaimEU has performed the agreement. By entering into an agreement with FlightClaimEU, the client declares that he/she is entitled to enter into this agreement or to issue the instruction on behalf of the (fellow) claimant(s) indicated by him. FlightClaimEU is entitled to decide against entering into an agreement or to refuse a client and/or claimant(s), without stating the reasons. In that event, FlightClaimEU will notify the client thereof as soon as possible. FlightClaimEU reserves the right to terminate (part of ) the agreement and/or (part of) the agreement on the basis of the Montreal Convention in the event of a situation which prevents a proper performance of the agreement, a situation which makes the relation with the client unworkable or at the discretion of FlightClaimEU. FlightClaimEU reserves the right to perform each agreement that has been entered into on a no win-no fee basis entirely at its discretion, while a positive result can never be guaranteed. FlightClaimEU reasonably endeavours to perform the agreement to the best of its knowledge and ability. If FlightClaimEU agrees a fixed fee (which departs from the rates described in article 5 of these terms and conditions) or fixed price with the client, FlightClaimEU is at all times entitled to increase this fee or price, as from three months after entering into this agreement. If the price increase follows from a statutory obligation, FlightClaimEU is also entitled to increase this fee or price within this three-month period. If at any time the client decides to cancel the instruction or terminate the agreement after contractual work has actually already been performed or after FlightClaimEU, or one of the partners (engaged by FlightClaimEU), has commenced legal proceedings at the Court, FlightClaimEU is entitled to charge the client and/or claimant(s) the no win-no fee rate, the administration costs (in accordance with article 5 of these terms and conditions), as well as adverse costs incurred. In the event FlightClaimEU has commenced legal proceedings, ‘(actual) costs incurred’ is taken to mean, but not limited to, court fees, costs of service, other bailiff’s costs, extrajudicial collection costs, authorised representative’s fees, additional fees and other costs incurred. In the event of invoicing by FlightClaimEU, the client is obliged to effect payment of the amount due within 14 days after the invoice date. Agreements involving the purchase of one of the products of FlightClaimEU via the Internet, will be performed after receipt of the agreed amount. By entering into an agreement with FlightClaimEU, the client, in the name of claimant(s) indicated by him, authorises FlightClaimEU to perform all (collection) work which, in the opinion of FlightClaimEU, is needed and/or beneficial, including (but not limited to) effecting an out-of-court settlement, signing full and final settlements, engaging a collection agency, lawyer and/or enforcement agent. If and insofar as FlightClaimEU deems this necessary, FlightClaimEU will be entitled to transfer a claim to another division or (other) third party/parties and/or intermediary. By extension, FlightClaimEU is entitled to adjust the no win-no fee rate initially agreed, as well as the agreed administration costs, in accordance with the rate applicable in the relevant division. The client is obliged to provide FlightClaimEU with all necessary data or information in advance or after filing a claim at FlightClaimEU’s request. The data and information must be provided entirely truthfully. In the event the debtor pays the financial compensation directly to the client and/or claimant(s) or indicates that they are intending to do so, the client is obliged to inform FlightClaimEU as soon as possible. The client must in all cases fully cooperate in order to secure the successful settlement of the claim. The client is responsible for providing FlightClaimEU with a working e-mail address. FlightClaimEU can in no way be held liable for the information being incorrect. All communication is conducted via the online dossier or via the client’s e-mail address held on record by FlightClaimEU. The client is responsible for providing the correct bank number (IBAN and/or BIC) where the (possible) collection proceeds can be transferred to. FlightClaimEU can in no way be held liable for the information being incorrect. In the case where FlightClaimEU is to transfer funds to the client via PayPal, the client is responsible for providing the correct PayPal email address. FlightClaimEU can in no way be held liable for the information being incorrect. FlightClaimEU will not hesitate to report any data/information deliberately provided incorrectly or incompletely as well as cases of fraud, in whichever way committed. The claimant will also be charged the fee as set out in Article 3.8 and Article 5 of these Terms and Conditions. The client indemnifies FlightClaimEU against all third-party claims as a result of the client making incorrect statements and/or providing incorrect data/information and/or committing fraudulent acts. The client and/or claimants will not contact the airline directly. All amounts or prices of FlightClaimEU are expressed in Euros are inclusive of any applicable VAT, unless explicitly indicated otherwise in writing. The no win-no fee rate is 25% of the full (claim) amount to which the client and/or claimant(s) is/are entitled on the basis of section 7 of Regulation 261/2004. It should be emphasised that the no win-no fee rates (may) differ. The foregoing then also means that if, for process-economic reasons, a claim must be handled by another division, the rate may also change. The client is charged the no win-no fee rate, if the debtor has effected payment to FlightClaimEU, directly to the client, claimants(s) or to the (legal expenses) insurer or any other third party/parties on the basis of Regulation 261/2004 or the Montreal Convention. The no win-no fee rate is also payable in the event of a situation as described in article 3, paragraph 8 of these general terms and conditions. In addition to the provisions referred to in the previous paragraph, the client is charged € 25 administration costs per claimant. It should be emphasised that the administration costs (may) differ. If a claim on the basis of the Montreal Convention is submitted, a no win-no fee rate of 25% (all-in) is charged, subject to the condition that a claim (as referred to in article 1, paragraph 6 of these terms and conditions) has also been submitted by the client and/or claimant(s). As soon as FlightClaimEU has accepted a claim, an agreement has been formed between FlightClaimEU, the client and the claimant(s). From that moment on, FlightClaimEU is entitled to charge the debtor statutory interest and adverse costs incurred by FlightClaimEU, including (but not limited to) (extra)judicial (collection) costs, court fees, costs of service, bailiff’s costs, authorised representative’s fees, additional fees and other costs incurred. These costs, in the event of payment by the debtor, are entirely payable to FlightClaimEU. If the client and/or claimant(s) decide(s) to withdraw the claim, FlightClaimEU will be entitled to charge him/them the costs described previously (in addition to the rates as referred to in paragraphs 2 and 3). All bank or transaction costs involved in international payments of the amounts due to the client and/or claimants(s) will be charged on to the client and/or claimant(s). Payment (if applicable) can be effected in (one of) the manner(s) as indicated during the ordering process. This payment must be made during or immediately after entering into the agreement. FlightClaimEU is entitled to suspend or terminate the performance of the agreement and ensuing agreements, if the client and/or claimant(s) is/are in default with regard to any payment or obligation on its/their part. All funds received by FlightClaimEU for or on behalf of the client and/or claimant(s) will be deposited into the bank account of FlightClaimEU. Payments made by the debtor to FlightClaimEU or directly to the client and/or claimant(s), (legal expenses) insurer or third party/parties are deemed collection results. The following must be paid from this result first: the no win-no fee rate, the administration costs, (extra)judicial (collection) costs, statutory interest, court fees, costs of service, bailiff’s costs, authorised representative’s (additional) fees and other (actual) costs incurred. These funds are immediately and entirely payable to FlightClaimEU. Payments made by the debtor on the basis of Regulation 261/2004 and/or the Montreal Convention to a (legal expenses) insurer or third party/parties or directly to the client and/or claimant(s), must be reported to FlightClaimEU without delay. Within 7 days of receipt of the funds by the client, claimant(s), (legal expenses) insurer or third party/parties, the no-cure-no-pay rate, the administration costs as well as the statutory interests claimed by FlightClaimEU and the (actual) costs incurred, viz.,: (extra)judicial (collection) costs, costs of service, (other) bailiff’s costs, court fees, authorised representative’s (additional) fees and other (actual) costs incurred, must be paid to FlightClaimEU. In the event the client and/or claimant(s) fail(s) to do so, FlightClaimEU will charge all the costs involved in the collection of the payments as referred to in the first sentence of this paragraph on to the client and/or claimant(s). If the debtor offers the client and/or claimant(s), (legal expenses) insurer or third party/parties compensation in kind, e.g. in the form of tickets or vouchers, the client and/or claimant(s), (legal expenses) insurer or third party/parties are free to accept this (except in the case as mentioned in Article 5.7). The client and/or claimant(s) is/are obliged to immediately notify FlightClaimEU in the event of acceptance thereof. In such an event, the client and/or claimant(s) is/are obliged to pay FlightClaimEU the rate owed, as referred to in article 5 of these general terms and conditions. Article 3.8 of these terms and conditions applies in this case. In the event FlightClaimEU has already commenced legal proceedings in the name of the client and/or claimant(s), the client and/or claimant(s) do (does) not have the option to withdraw the claim without charge, terminate the agreement or accept a settlement offer by the debtor. If the client and/or claimant(s), without having obtained explicit, prior written approval, opt(s) to accept a (settlement) offer, to terminate the agreement or to withdraw a claim, then the client and/or claimant(s) owe(s) the rate referred to in article 3.8 of these terms and conditions, which applies in this case. In the event the client and/or claimant(s) is/are in default of any payment owed to FlightClaimEU, FlightClaimEU will charge the client and/or claimant(s) all costs involved in the collection of this payment. The amounts payable to the client and/or claimants(s) – provided the amounts are causally traceable – will be paid by FlightClaimEU to the client within 30 days after receipt by FlightClaimEU, with due observance of the provisions of articles 5 and 6 of these terms and conditions. Payments will be made to the bank number or PayPal email address held on record by FlightClaimEU. The amount payable to the client and/or claimant(s) will remain in the passenger’s cash account of FlightClaimEU for a maximum period of one year. This year commences after the client has been notified of the amount collected for him (and his fellow claimant(s)), at the client’s e-mail address held on record by FlightClaimEU. After expiry of this year, the right of the client and/or claimant(s) to claim this amount expires. – Access to the correspondence between the client and FlightClaimEU as well as correspondence between FlightClaimEU and the debtor, insofar as it only relates to his/her claim. On the subject of legal proceedings commenced by FlightClaimEU, FlightClaimEU is entitled to bring these according to own insights or to effect settlements. (Draft) pleading and other documents are not provided with a view to possible confidential (personal or business) information. FlightClaimEU will be free to submit a request for enforcement from the authorised national enforcement body. If this request is rejected, or if the national enforcement body refuses to cooperate in any way, FlightClaimEU will be free to commence (legal) proceedings under administrative law, as well as to withdraw the relevant claim and discontinue the further processing thereof. If FlightClaimEU considers it inopportune to commence legal proceedings or to continue them on account of advanced insights, new information or other circumstances, FlightClaimEU will be entitled to withdraw, cancel the claim or come to an out-of-court settlement for an amount lower than the compensation amount claimed by the client and/or claimant(s) by virtue of section 7 of Regulation 261/2004. The provisions of articles 5 and 6 of these terms and conditions continue to apply in full. FlightClaimEU processes the (personal) data which is provided by the client within the framework of the performance of the agreement. FlightClaimEU will comply with the provisions of the relevant privacy and/or data protection legislation. Without separate approval, FlightClaimEU will refrain from disclosing (personal) data to thirds/third parties, except if and insofar as this is required for recovering the claim that has been submitted. If so requested by the client and/or claimant(s), FlightClaimEU will remove the personal data from its database. Only the client can adjust and change data (online), or have this adjusted or changed (online). If so requested, FlightClaimEU must provide an overview of the details of the client and/or claimant(s), which are held on record by FlightClaimEU. FlightClaimEU reserves the rights and powers it is entitled to by virtue of the relevant copyright legislation and other (intellectual property) law and regulations. FlightClaimEU is entitled to use the knowledge it has gained during the performance of an agreement also for other purposes, if and insofar as this does not involve the disclosure of any strictly confidential information of the client to a third party/parties. If FlightClaimEU should be liable in any way, then this liability will be limited to what has been stipulated in this article. If and insofar as FlightClaimEU attributably fails or has attributably failed in the fulfilment of an (assumed) obligation, it can not be held liable for (any) (in)direct loss suffered or to be suffered by the client, claimant(s) and/or third party/parties. Indirect loss is taken to mean, but not limited to, consequential loss, non material loss, direct trading loss and loss of orders and profit. The liability of FlightClaimEU can cover no more than direct loss and will never exceed the amount (including VAT) the client and/or claimant(s) is/are entitled to in accordance with section 7 of Regulation 261/2004, with due observance of article 5 of these terms and conditions. The terms stipulated in the previous paragraphs are without prejudice to any liability of FlightClaimEU by virtue of mandatory legal provisions. FlightClaimEU can in no way be held liable for missing or incorrect data which has or should have been provided by the client (see article 4 of these terms and conditions). After delivery of the purchased products, FlightClaimEU is no longer involved in or liable for the correct use thereof, or their successful application, in any way. The client and/or claimant(s) indemnify FlightClaimEU against any claims brought by a third party/parties suffering damage or losses in relation to the performance of the agreement. If FlightClaimEU is confronted by a third party/parties seeking to bring a claim, the client and/or claimant(s) is/are obliged to assist FlightClaimEU both in and out of court and to promptly do everything that can be expected from the client and/or claimant(s) in that event. Should the client and/or claimant(s) remain in default with regard to taking adequate measures, FlightClaimEU, without further notice of default, will be entitled to proceed thereto itself. All costs incurred and (any) loss and suffered by FlightClaimEU, an intermediary/intermediaries and a third party/parties caused as a result will be at the full expense and risk of the client and/or claimant(s). Non-timely performance of the agreement by FlightClaimEU does not give the client and/or claimant(s) the right to compensation or to suspend any obligation towards FlightClaimEU. FlightClaimEU can never be held liable for any administrative error(s) made by it, its partner(s) or a third party/parties engaged by it. FlightClaimEU reserves the right to rectify this/these administrative error(s). FlightClaimEU is not obliged to fulfil an obligation for the client and/or claimant(s), if it is impeded in doing so as a result of a circumstance which is not attributed to FlightClaimEU, nor if FlightClaimEU is accountable for it by law, juristic act or generally accepted standards. Force majeure includes, in addition to what is included in the law and jurisprudence, all external causes, foreseen or not foreseen, which cannot or could not be actually influenced by FlightClaimEU, as a result of which, however, FlightClaimEU is unable to fulfil its obligations towards the client and/or claimant(s). FlightClaimEU is furthermore entitled to invoke force majeure if the circumstance prevents the (further) performance of the agreement after FlightClaimEU was to have fulfilled its obligation. During the time that the force majeure period continues, FlightClaimEU is entitled to suspend any obligations under the agreement. Insofar as FlightClaimEU, at the time the force majeure commences, has meanwhile (partly) fulfilled its obligations under the agreement, or will be able to do so, and the fulfilled part and/or the part to be fulfilled represents independent value, FlightClaimEU will be entitled to separately invoice the part that has already been fulfilled and/or that is yet to be fulfilled. The time limit for all claims against FlightClaimEU and a third party/parties engaged by FlightClaimEU in the performance of an agreement, amounts to one year, as referred to in article 6, paragraph 10 of these terms and conditions. All agreements concluded with FlightClaimEU are governed by Dutch law. Any disputes with FlightClaimEU will be submitted to the competent court.